Sir Sly have been on my radar since they covered Drake’s “Marvin’s Room” earlier this year. Since then, they’ve released an excellent single, the title track from their upcoming album “You Haunt Me” (out 9/16 and now streaming in full on their website). They recently put out a cover of Arcade Fire’s “Afterlife,” and I have to say I enjoy it more than the original. The darkly ambient, moody electronic backdrop, coupled with Landon Jacobs’ sultry, wide-ranging, emotive vocals create a well-orchestrated, uniquely imagined cover that will entice listeners to seek out more music from this up-and-coming indie/electro-pop band. What can I say about Light Years that I haven’t already said? Their incredibly thoughtful, mature songwriting skills and strong musicianship put a whole new spin on the often scorned, misunderstood genre known as “pop punk.” And with their new EP Temporary, the band further prove that they can deliver tightly crafted melodies and introspective lyrics that make them memorable and outstanding in a scene filled with younger, more run-of-the-mill bands. If you grew up on bands like Blink-182 and are looking for more nuanced, but still anthemic, pop-punk-inspired music that will resonate more strongly with twenty-somethings as opposed to teens, look no further than Light Years. 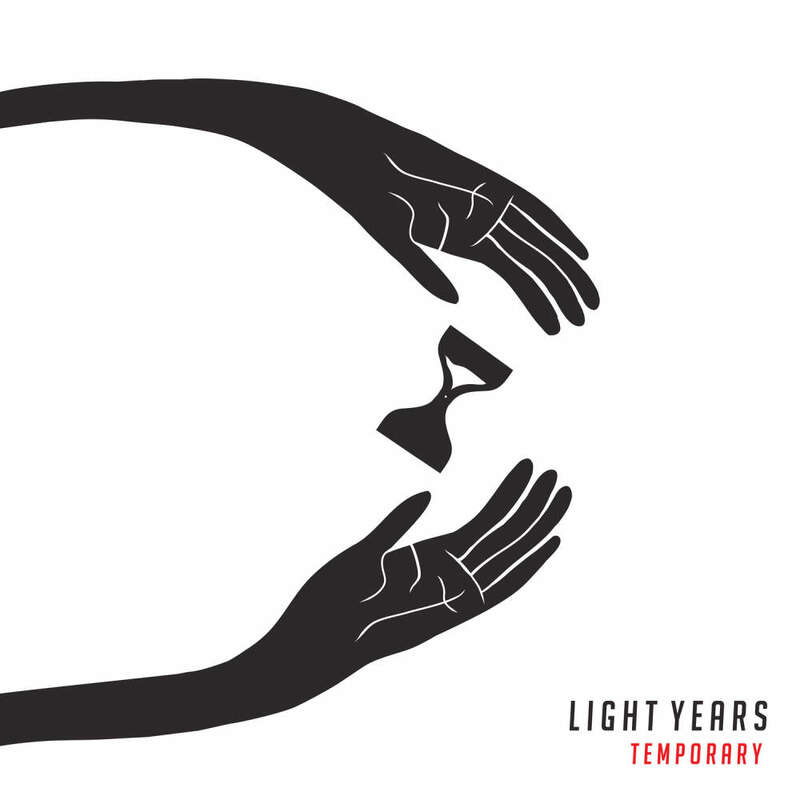 You can stream Temporary via the link below, but be sure to purchase the actual album here and support this underrated and extremely talented band. Also, catch them on tour this fall with Turnover and Malfunction. “Insane” is one of my favorite tracks by Flume, and Seabstian Carter has put out some great remixes this year, so I was excited to see him release this one. It’s a subtle, but very skillfully produced remix; the general vibe is more along the lines of chill/downtempo house, and the tempo is slightly faster than the original. The gently pulsating beats manage to be both hypnotically enticing and a little relaxing at the same time. Stream it below, and if you like what you hear, it’s available as a free download via a link on the Soundcloud page. Jaymes Young is a master of the brooding, sultry, slow burning brand of electronic indiepop that has grown in popularity with the rise of artists such as Mikky Ekko and Ellie Goulding. His latest song, “Come Back For Me,” off his upcoming EP, Habits of My Heart is decidedly darker and more downtempo than the title track, but just as catchy and intriguing. His seductive croon is backed by a chill, steadily driving set of simple beats that entice the listener with a haunting echo. Young is definitely an artist to watch as the rest of 2014 plays out. I’m hoping he will finally give us a full album in 2015. Ace Enders released another video of a new song from his “voice memo sessions” called “Undecided,” and based on this and his previously released song from these sessions, I think Ace’s next album might be his strongest body of work to date. I’m not sure whether these sessions will lead to another “I Can Make A Mess” album or whether he’ll record them under the “Ace Enders and A Million Little Pieces” moniker. I would guess the latter, as this song in particular is pretty similar in sound to some of the songs on his 2009 AMLP album When I Hit The Ground. If you loved The Early November’s most recent album In Currents, you’ll most likely love this. Read what Ace Enders had to say about these sessions and stream “Undecided” below.